Holocaust Controversies: If they're the best, what about the rest? If they're the best, what about the rest? Here at Holocaust Controversies we have already provided lots of examples that establish that Carlo Mattogno and Juergen Graf are absolutely inept in their research and reasoning. Time to add to the collection of their blunders. At the same time, the military examining judge of the military administration of the 65th Soviet Army, the First Lieutenant of Justice Jurowski, was drawing plans of the first as well as the second alleged killing facilities of Treblinka. These two drawings without a doubt depict two facilities with gas chambers, which are fed by engine exhaust gases (or, to put it more accurately, by the exhaust gases from a tractor). But none of the witnesses questioned by Judge Jurowski mentioned such a version of killing. As we pointed out in Chapter II, to be sure they spoke of an engine, but this served merely to operate the pump, by which the air was said to have been sucked out of the chambers and not for filling the chambers with exhaust fumes. This vacuum version was then officially stated in the Soviet report concerning Treblinka of August 24, 1944, as well as in the Polish-Soviet protocol of September 15, 1944. What, therefore, was Judge Jurowski's source? The answer is simple: Jankiel Wiernik 's expositions of May 1944, because the Soviet investigating judges were in possession of a copy of his text, which is explicitly mentioned in the Soviet report of August 24, 1944. As will be recalled, Wiernik had simply transformed the steam chambers of the report of November 15, 1942, into engine exhaust gas chambers and even copied the drawing of the camp enclosed with that report. On this plan the two alleged killing installations are drawn in, the first with three and the second with ten chambers, whose structure is practically identical with those of the two drawings of Judge Jurowski. But because Wiernik had forgotten to append to the ten gas chambers of his second drawing an eleventh room, in which the engine was installed, Judge Jurowski saw himself forced to draw in the tractor (engine) at the end of the corridor, between chambers 5 and 10. He painstakingly adopted Wiernik 's drawings, yet nonetheless attempted to bring a minimum of order to them and in doing so drew equipment within the installations, which Wiernik had not mentioned. Since the Soviet judge understood significantly more about engineering than that witness, he enhanced the drawing with another element, which would have been indispensable for a hypothetical mass killing with engine exhaust fumes, but of whose necessity Wiernik had not been aware: the openings for the removal of the gas, i.e. of the air-gas mixture. We will come back to this important point in Section 8. It is clear from all this that Judge Jurowski was technically too well-versed to swallow the nonsense told by the witnesses, but as Soviet military judge he accepted the story of the mass extermination in engine exhaust gas chambers and imbued it with a certain degree of plausibility by virtue of his drawings. "A small window, sealed air-tight, was fitted to the ceiling, which could not be opened and through which the man who regulated the gas supply was able to observe." "[...] this means that there would have been a force equivalent to the weight of 5 metric tons pushing outward against each square meter of surface area." If the alleged gas chambers were actually hermetically sealed, the gassing procedure under the circumstances described by the witnesses would therefore have come to a standstill through breakdown of the engine after scarcely a minute in the first facility, and after a little over four minutes in the second facility, if the walls of the building had not already collapsed before that. But probably the doors would simply not have withstood the pressure and would have been pushed off their hinges. According to the official historiography, the gas chambers possessed no opening for the removal of the gas. What's that silliness about non-existent "official historiography"? Never mind. 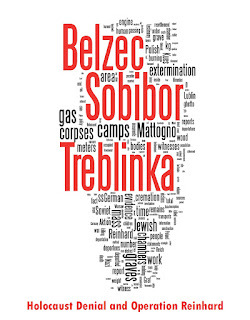 I suppose the scholarly literature on Treblinka may not contain any references to such an insignificant detail as an outlet for engine exhaust. If true, this doesn't mean that the history books somehow deny - implicitly or explicitly - the existence of such openings. M&G never supply a single statement from any book to that effect. Frankly, the claim is silly beyond belief. He [Jurovskij - SR] painstakingly adopted Wiernik 's drawings, yet nonetheless attempted to bring a minimum of order to them and in doing so drew equipment within the installations, which Wiernik had not mentioned. Since the Soviet judge understood significantly more about engineering than that witness, he enhanced the drawing with another element, which would have been indispensable for a hypothetical mass killing with engine exhaust fumes, but of whose necessity Wiernik had not been aware: the openings for the removal of the gas, i.e. of the air-gas mixture. (BTW, what's that thing about calling a military investigator a "judge"? Again, never mind.) So, according to M&G, Jurovskij based his drawings partially upon his own speculations, basically proving that he was dishonest (if the witnesses didn't mention any outlets and he drew them, that wouldn't be correct from any point of view). Well, the problem is that at least one witness interrogated by Jurovskij did mention openings for removal of exhaust gas. 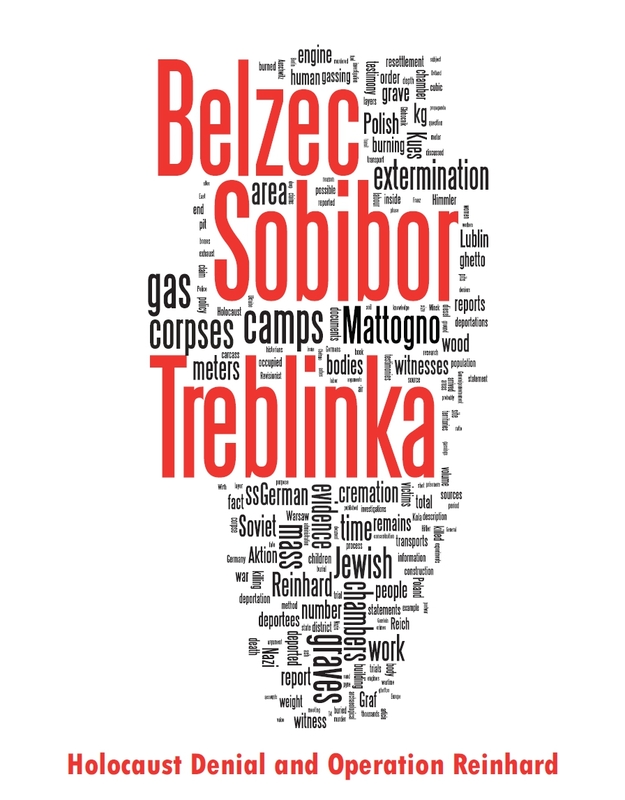 The Nuremberg document USSR-436 (GARF 7445-2-134) consists of the materials of the Soviet investigation of Treblinka. Among the numerous protocols of interrogation by military investigators Jurovskij and Malov there is a very important testimony by a former Treblinka Totenlager inmate Abram (Abraham) Goldfarb. Goldfarb took part in the construction of the new gas chambers (the 10-chambers building), just like Yankel Wiernik. It is amazing that M&G do not mention his testimony. Apparently, they're simply unaware of USSR-436 - but how can this be, is they took the very plans drawn by Jurovskij from it? Some "research"! In each chamber there is one opening in the ceiling. And it is covered by a net. Now if you will look at Jurovskij's drawing of the old gas chamber building (with 3 chambers) you can even see the net, mentioned by Goldfarb. So Jurovskij did not just imagine these openings for gas removal! Now re-read what M&G wrote. Don't they appear as ignorant conspiraloons in light of these facts? A gas chamber measured 5 × 5 meters and was about 1.90 meters high. The outlet on the roof had a hermetic cap. These two drawings without a doubt depict two facilities with gas chambers, which are fed by engine exhaust gases (or, to put it more accurately, by the exhaust gases from a tractor). But none of the witnesses questioned by Judge Jurowski mentioned such a version of killing. Regarding the issue of the structure of the building and the mechanism of extermination of people it is extremely important to add, that in the annex of the building there was a normal tractor engine, which was started in two cases: when the chambers were filled with people and for lighting purposes. From this generator one pipe (through which the gases were exhausted) passed through the attic to each chamber, and, as I have already testified, in each chamber the gases appeared through a socket. Another pipe from the generator led directly to the outside. And it's clear why: when the engine was used for killing people, gases entered the chambers through a system of pipes, but when the main goal was the electric supply, gases were exhausted directly outside. I happened to visit the building which consisted of three cabins. [...] Inside the cabins there were pipes from the engine, through which the engine exhaust entered the cabins. But because Wiernik had forgotten to append to the ten gas chambers of his second drawing an eleventh room, in which the engine was installed, Judge Jurowski saw himself forced to draw in the tractor (engine) at the end of the corridor, between chambers 5 and 10. Climbing the steps, you're entering a very long corridor, on the left and right sides of which there are five chambers, with the only difference being that on the left side, near the last chamber, there is a little room for the engine. And voila! You can see on Jurovskij's drawing that there is a small engine room near the last chamber on the left side. I.e. the accusations by M&G against Jurovskij are simply bogus. Some may dismiss all these criticisms as unimportant. But the simple proven fact that Mattogno and Graf's "research" is extremely sloppy, atrocious, subpar - does matter. Mattogno and Graf are the most prolific, knowledgeable and, one is tempted to say, "reasonable" "revisionists" out there. If they're the best, what can one say about the rest?